We know that the hurricane has taken it’s toll on many of our homes. David wants you to know that your memories are safe with us. 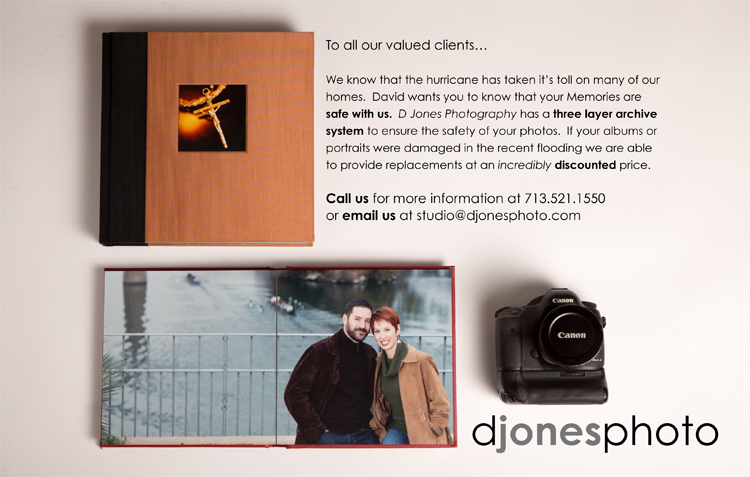 D Jones Photography has a three layer archive system to ensure the safety of your photos. If your albums or portraits were damaged in the recent flooding we are able to provide replacements at an incredibly discounted price.